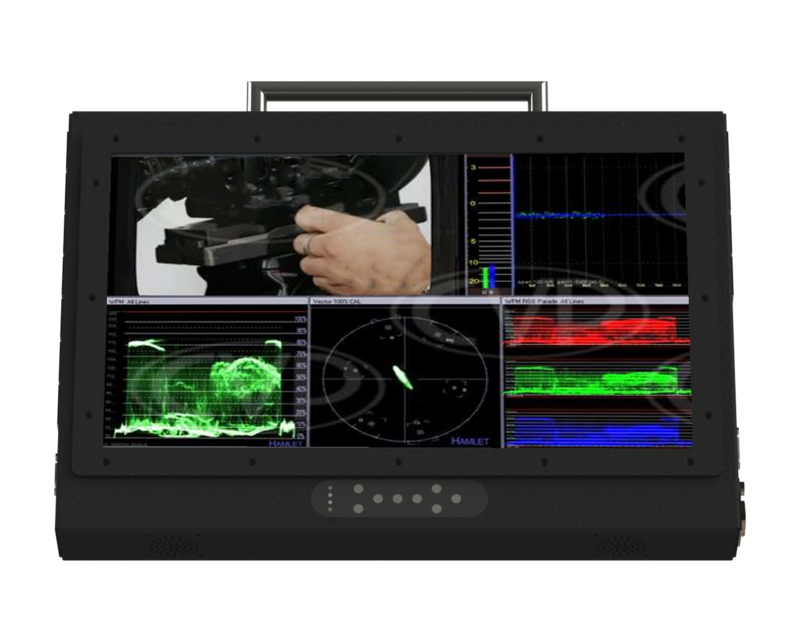 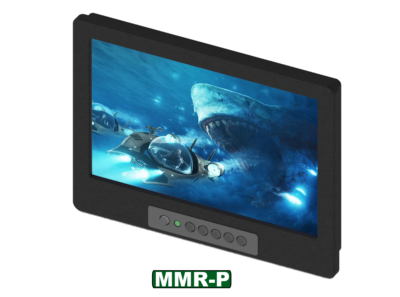 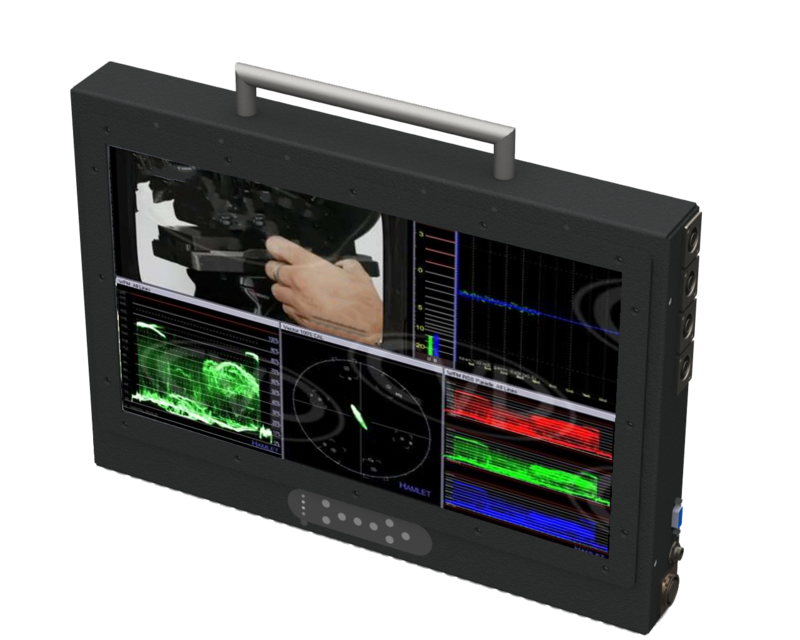 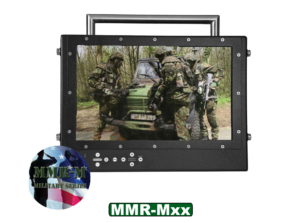 Broadcast, Film, IT, Military or Mobile Command; Virtually everyone can use a Mobile Monitor Ruggedized (MMR). 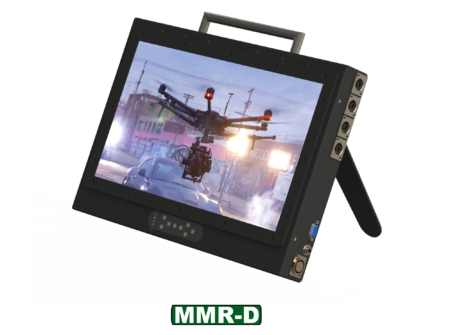 It is perfect for the remote location, mobile set or helicopter where, light weight mobile, critical viewing is necessary or required. 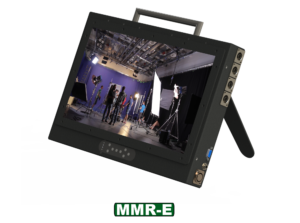 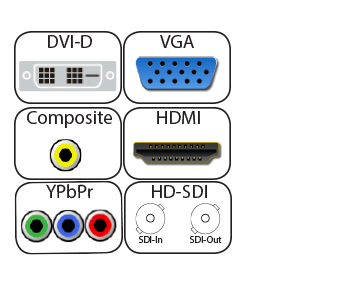 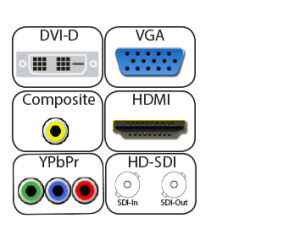 The MMR Series was built from the ground up with HD in mind. 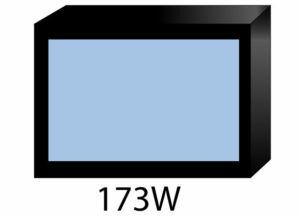 This monitor has a high brightness and contrast ratio with wide viewing angles. The MMR’s Protective Lens is Field changeable. Our Optically Bonded Lens option wins hands down compared to the competition. 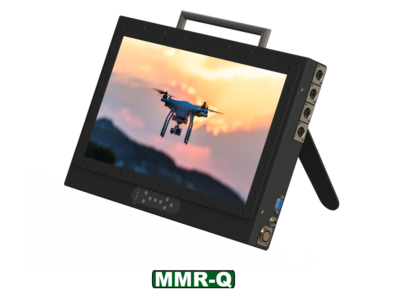 The All Aluminum welded construction of the MMR is both light weight and durable satisfying the demands of the mobile professional. 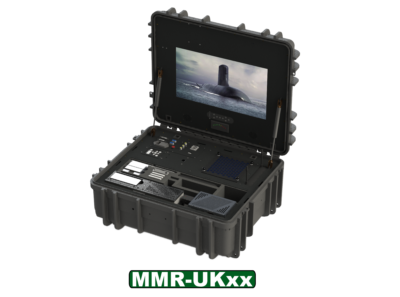 It is field powered via an Anton Bour battery (Gold Mount) or XLR power input. The MMR can be supported via the integrated rear support arm, optional light stand or tripod bracket.